Uga is probably the most famous Bulldog out there. A well-known symbol of football and The South, he’s a great representative of the breed. Even if you aren’t a Georgia football fan, or a football fan in general, you can’t deny Bulldogs are an imposing and striking breed. You can make Papa Bulldog in white, like old Uga here, or another doggy color or even brindle by choosing an ombre in browns and grays. He features a massive head and a wrinkly face that is a lot of fun to make. 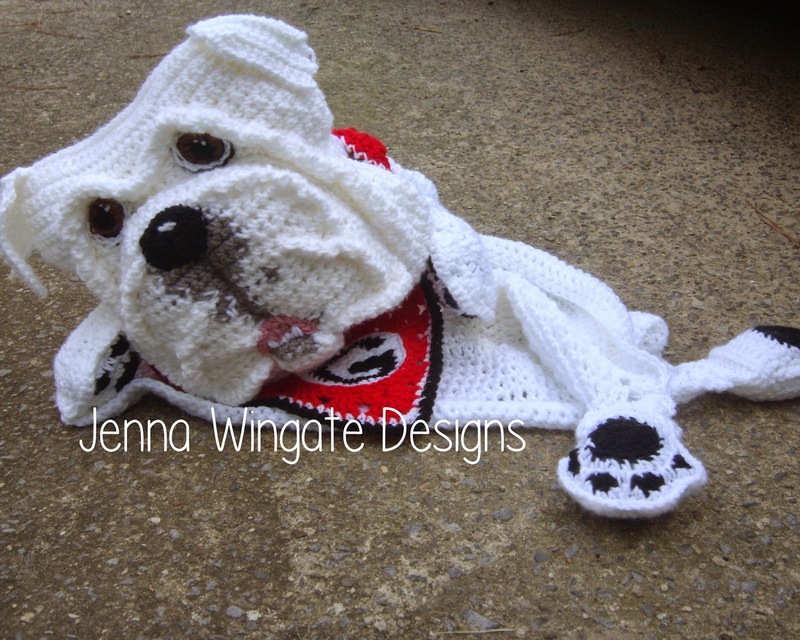 Bonus patterns for the kerchief and the Georgia Bulldogs logo. - Streamlined some of the pattern to require less counting. Other: Included are tips to make this into a 2-colored dog. (Disclaimer) I make no claim of association with the college or team and no infringement is intended. This design is meant as a testament to the love of all dogs and the appreciation that some of them get to be famous. *yardage is based on a solid-colored dog. If you wish to crochet a dog with white feet, or other mix of color, the yardage will be different. Additional Stitches may be explained in the pattern.